Reader Question: I have cut ties with my narcissistic father, and a lot of people ask why I don’t speak to him because they cannot fathom not speaking to a parent. It would be so helpful to have 1) a simple and standard reply to give to general acquaintances who ask “why don’t you see your father?” and then 2) something more for those who are close friends who really care but have trouble understanding. People who’ve not experienced emotional abuse cannot relate. I’d like to be able to articulate something that curious or interested people can relate to. Any ideas? When you are affected by emotional abuse in a toxic relationship with a narcissist, it can be really tough to explain to some people, especially if you’ve done your best to hide the problem up until the time you try to explain. Generally, you don’t even tell a lot of people about the abuse you’re suffering – and sometimes, you don’t even realize you’re BEING abused – and that’s because this kind of abuse can really sneak up on you. But usually when you begin to realize that there’s an issue, you are so deep within the enmeshment of your relationship that you need to reconnect with your support network. Because narcs seem to helpful/happy/easyoing/awesome to these people, they can’t imagine a world in which that “poor guy” could ever be what you claim he is – and that leads to a lot of painful questioning and pressure, and/or “flying monkey” behaviors. In either case, your life will get really difficult. 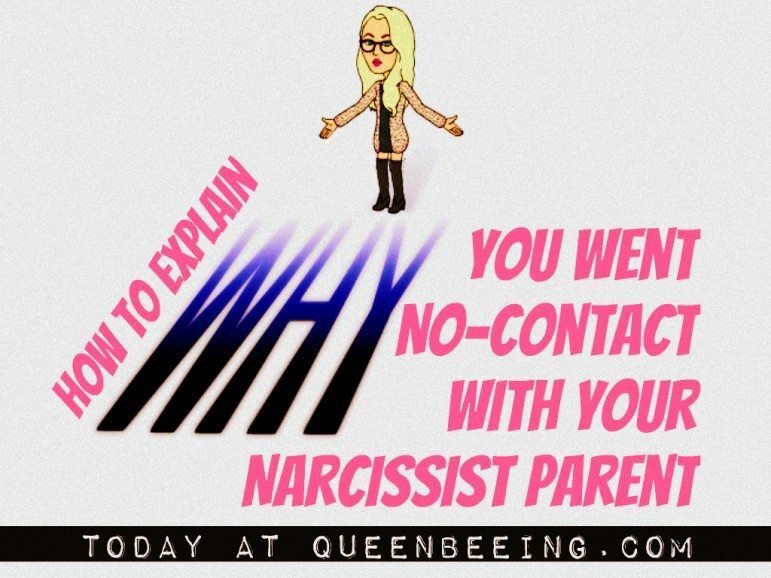 So, what do you say when people ask why you have gone no-contact with a narcissist? As my reader question implies, you’ll need two answers – the extended version, for people who really care, and a short and sweet version, for those who don’t need all the details. Note: If you haven’t already told everyone who really needs to know, you might consider sending out a few letters to explain in advance – use the following FAQ as a guidelines for deciding which objections you might get from people, and then head them off in the letter. Generally, you don’t owe most people an explanation, and if they ask, you can just say that “it’s a long story” and that it’s better this way. If the person is someone who deserves an answer, such as members of the family, you can simply explain that the relationship has always been difficult and you are no longer able to try to fix it and preserve your mental and emotional health at the same time. Don’t say anything directly bad about your dad – just let them know that it isn’t a healthy relationship for you at the time. Coach Tip: If you have other family members who support your decision to go no-contact, ask them ahead of time if they’d be okay with helping to field the questions if they become overwhelming for you. 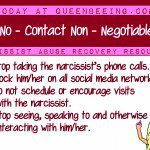 Here are some frequently asked questions and some solid answers to help you start thinking of how you can respond when someone asks you why you have gone no-contact with a narcissist. Q. Why don’t you talk to your narcissistic father any more? A. I decided to stop all contact between my father and me because we’ve always (or for a very long time) had a very difficult relationship. I have decided that in order to preserve my own mental and physical health/wellbeing, I need to stop making these futile efforts. Note: I always tell people that trying to communicate with a narcissist and hoping you’ll actually getting throguh to him can be compared to banging your head against a brick wall and hoping it will make your headache go away. It’s the opposite of what’s going to happen. Q. Would it help if I talked to him for you? You don’t want to stay no-contact forEVER do you? A. Thank you so much for offering – your support means the world to me, and I’ll let you know if I need help. For now, I’d really appreciate it if you’d please respect my carefully considered decision. That means please don’t try to help me reconcile – I don’t want you to be a go-between and I don’t want you to help to get us back together. Q. I can’t imagine not wanting to see your own father! How can you be so cold? Q. But I’ve known you since you were a kid, and you always seemed happy. You never said you were being abused! A. You’re right. But you didn’t see what happened behind closed doors, and I’ve learned that emotionally abused kids tend to be hard to detect because they are so desperate for love and approval that they are often on their best behavior at all times in an effort to win their parents’ love and attention. Q. I don’t understand you! Your parents did EVERYTHING for you – you never went without anything. What was so bad? 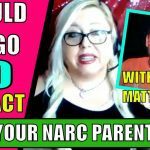 A. It’s really common for narcissistic parents to provide their kids with all of the physical necessities and often even material possessions, but they don’t do this out of love; they do it in order to be better than other people. And while they’re piling on the “goodies,” they are often starving their children of the basic kindness, gentleness and understanding that kids need. They never experience the sense of “unconditional love” that some kids feel from their parents, and the sense of pride/approval that we all seek. Q. But why didn’t you TELL ME sooner? A. To be honest, it’s really common for children who are emotionally abused to not realize it until they’re older. 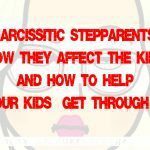 According to my research, it’s because in order to get through the difficulties faced by children of narcissists, you have to create a certain sort of false reality in order to survive it. It might be in part due to the fact that most children aren’t able to understand what’s happening to them, and in some cases, they don’t realize that their home-lives aren’t normal. And kids become unwilling conspirators for emotionally abusive parents in helping them hide their behavior. Q. But your parents always said such great things about you! A. That’s partially because narcissists want everyone to believe that every part of their lives are perfect, and because as the child of a narcissist, he sees you as a simple extension of himself. So, if he said something bad about YOU, then he’d be saying something bad about HIM to that person (in his mind, anyway), if that makes any sense. Now it’s your turn. 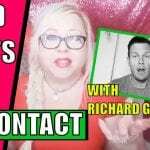 Have you survived going no-contact before, and if so, what did you say to people who asked? Share your thoughts and experiences in the comments section. You never know who you might help. Are you part of a narcissist’s harem? You might be shocked. Melissa, I know how hard it is to make that choice and stick to it, and I’m so happy to hear that it’s working out for you. I also understand how it feels. Hugs and love and thank you so much for sharing your experience and thoughts. Thank you for starting all this! Having somewhere safe to go and share is an amazing thing.. You will save lives this way! hugs and love to you! 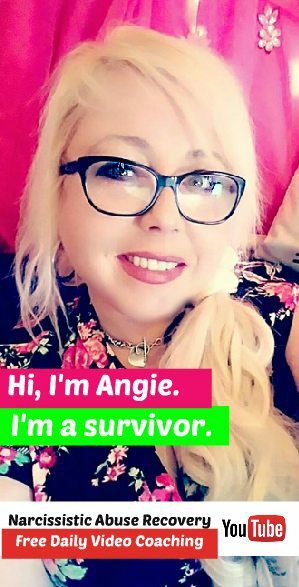 It just makes my heart swell when I learn that I’ve helped another victim become a survivor. I truly believe that education and understanding are the first step to resolving almost any problem. I’m 3.5 yrs no contact and I tell people who ask, think of someone who bullied you and imagine they’re your parent. My mom and my grandma were my bullies. I don’t know how else to explain it other than that. I was abused in every possible way physically by my grandma, emotionally by both of them, and sexually by my mom’s boyfriends or male friends. After my husband’s car accident and my mom wanting to be center of attention I reached my breaking point and walked away. Thanks a lot for this article. It really helps me to be able to articulate this very difficult and anormal situation of no contact. Should I make an effort to keep the narcissist in the dark? Also, sometimes I tend to expose my life too much and then regret about it. Is there any suggestions on to limit the amount of info the narc might get from me?